Rival de Loop Hydro care capsules are an effective intensive care for stressed, dehydrated skin that noticeably softer and allows your skin appear smoother. Dry lines are smoothed visually, the elasticity of your skin is improved. 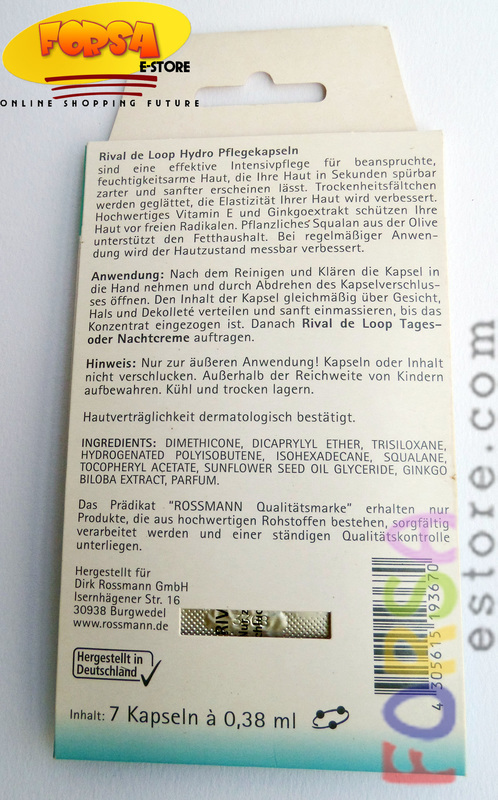 After cleansing and toning, take the capsule in the hand and open by twisting the capsule closure. Divide the contents of the capsule evenly over face, neck and décolleté and gently massage until the concentrate is fed. 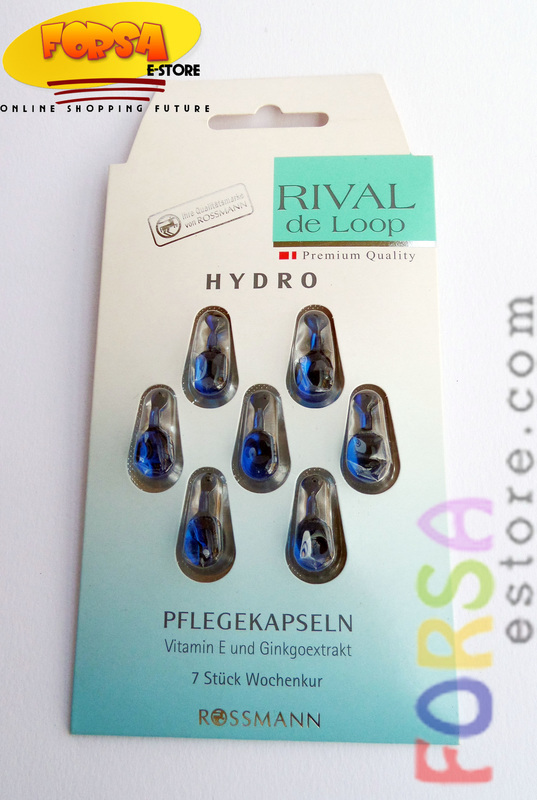 Day use only one capsule. Rival de Loop Hydro cloth mask leaves tired skin a energizing kick of freshness immediately after application. Valuable avocado oil is rich in unsaturated fatty acids and protects the skin with moisture-binding properties against dryness. 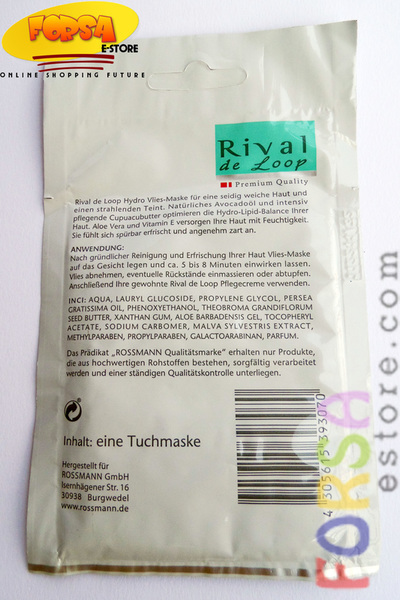 Nourishing Cupuacu butter makes the skin soft and supple. Aloe Vera soothes and promotes skin recovery. Your complexion is radiant and your skin feels silky soft to. Clean and dry the face thoroughly. 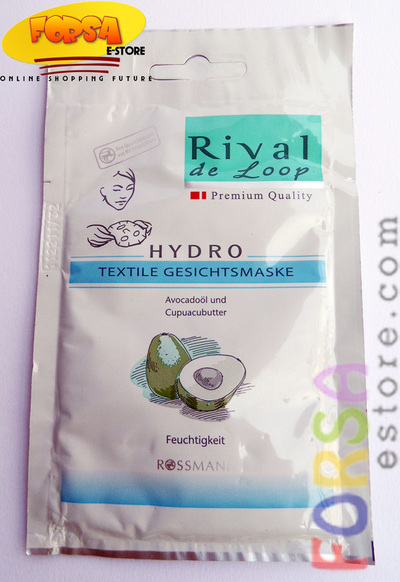 The Rival de Loop Hydro cloth mask unfold and place it on the face. After an exposure time of about 8 to 10 minutes, the fleece and remove remaining residue gently rub with your hands or dabbing with a tissue. كبسولات هيدرو كيير من ريفال دى لووب هى العناية المركزة الفعالة للبشرة المجهدة و الجافة تعطى زيادة ملموسة وكبيرة فى رطوبة الجلد في 30 دقيقة فقط , تقليل التجاعيد وتحسين مرونة الجلد. تجنبى الجلد حول العينين والشفتين . و يتم تدليكه بلطف حتى يتم تغذية كامل الوجه. تستخدم كبسولة واحدة فقط فى اليوم .